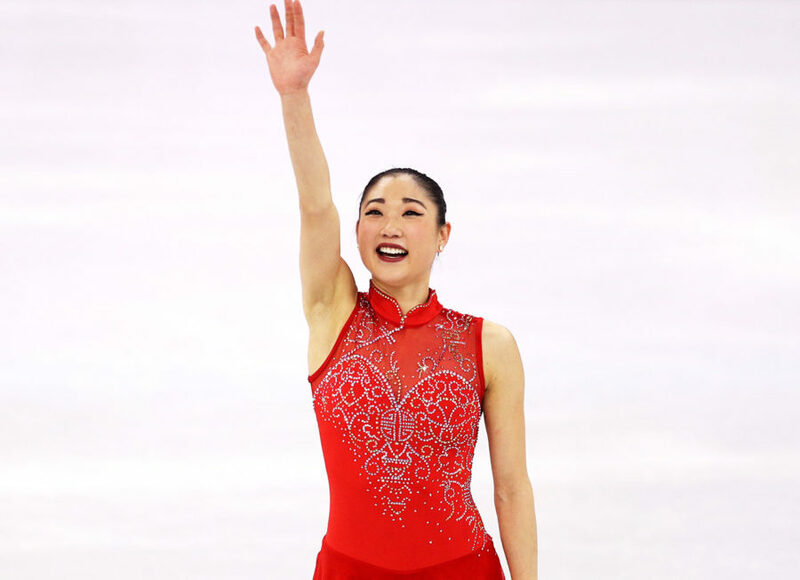 On Sunday night, Mirai Nagasu achieved what only two other people ever have: She became the third woman in Olympic history, and the first woman from Team USA, to land the triple axel jump during her figure skating program. Pulling the move off—and clinching the bronze for the figure skating team—likely took a level of single-minded dedication that most people will never understand or experience. Nagasu got lucky though: parents who know the value of discipline raised her. Kiyoto and Ikuko are so dedicated to their craft, in fact, that they worked the dinner rush at their California sushi restaurant, Kiyosuzu, while their daughter performed. USA Today reports that Kiyoto, the restaurant’s chef, and his wife, Ikuko, were working an especially busy shift at Kiyosuzu as their daughter skated onto the ice. They planned to wait for the crowd to die down, and then head home to watch her program on their DVR. “We are very happy because we heard it went well,” Ikuko told USA Today on Sunday. Mirai grew up hanging out at her parents’ restaurant, and said earlier this year that her father “is a very creative type of person, so he has rolls that make no sense to most people familiar with sushi.” She called him “mischevious,” and credits her parents with passing along a sense of “adventure and imagination” to her. Kiyosuzu now features the Mirai roll on the menu in her honor, which contains “tuna, tuna tatako, avocado, mentaiko (pollock roe), shrimp and tempura,” according to USA Today. As dedicated as they are to their restaurant, Kiyoto and Ikuko have their limits: The restaurant will briefly close so that they can watch Mirai compete in the women’s individual competition during the final week of the games. Given her performance on Sunday, it’s the likely the rest of the world will be watching right along with them.